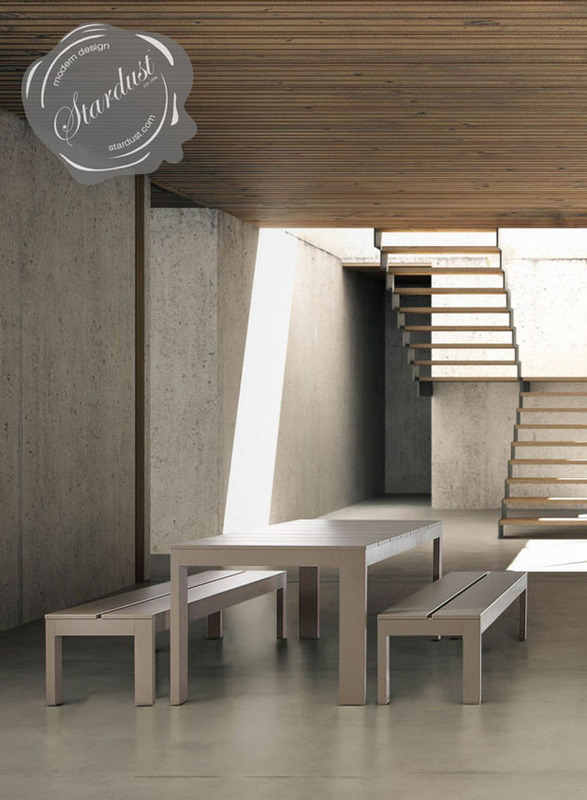 'Banco Yondal' by Gandia Blasco from Stardust. 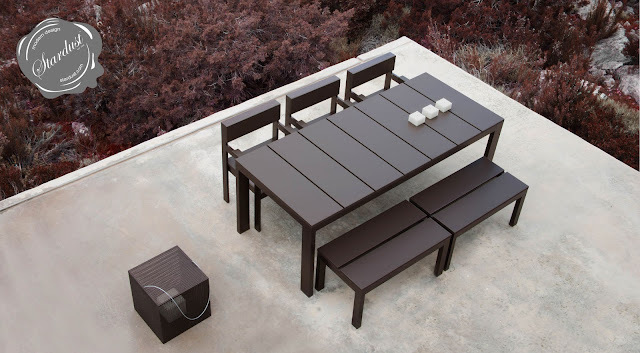 Part of the Na Xemena outdoor furniture collection from Gandia Blasco. 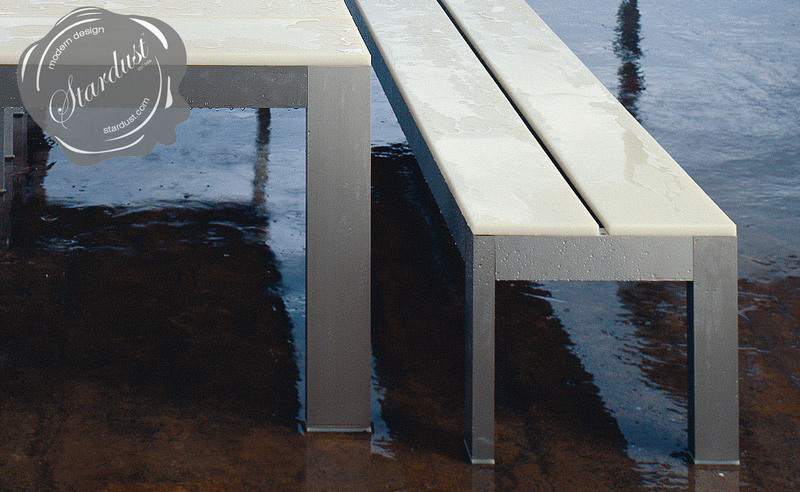 Simple and classic, this modern outdoor bench combines ultra-strong marine grade aluminum with a weather-resistant polyethylene seat. This versatile outdoor seating solution is designed to withstand the weather, but it's well suited for indoor use too. 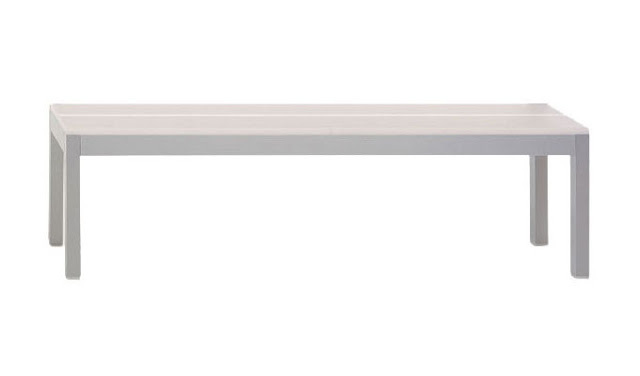 These sleek minimalist outdoor benches are a great match with the Na Xemena Mesa Dining Table.